- Over $260,000 was recently added to this Bonanza to make it one of the top V tails in existence. - Engine 805 SFRM IO-550 Conversion. 600 since teardown inspection due to prop strike. - Prop 600 since new. Hartzell three blade. Prop strike. No damage to any part of plane. - Garmin G-500 with synthetic vision, Chart view, and integrated with autopilot including altitude preselect, air data computer showing wind speed and direction, and GPSS steering. 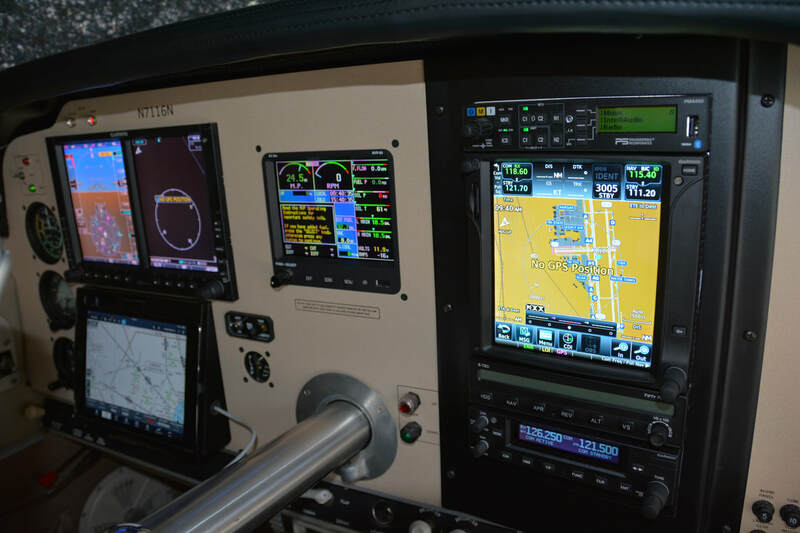 ​- STEC - 55X with altitude preslect integrated with the Garmin 500. - Garmin GSR - 56 Garmin satellite phone with datalink capability. Accessed through the PMA-450 audio panel. - PMA 450 audio panel which includes entertainment options as well as in cabin Blue Tooth. - Flightstream 210 Blue tooth integrated with Foreflight on Ipads and GTN 750 + G 500. - E.I. MVP - 50 Engine monitor: this unit replaces all the engine gauges including digital fuel gauges and fuel flow. Rated the number 1 engine monitor by Aviation Consumer. - Front seats have late model inertial reel shoulder harnesses and door steward. ​- Front four seats have headrests. - Every antenna on the plane is new with new wiring. - Every exterior light including strobes are the latest LEDs. - Panel mount for mini Ipad under the G-500. I leave this on a split screen. Synthetic vision and nav. - Five place intercom. Each place has the Bose built in receptacle, as well as the two probe jacks. - Fifth seat covered in the same material as the rest of the seats. - All windows, including windshield are new. Side windows are factory tinted. - Dual USB port as well as a dedicated power cable for the Ipad mini. Ipad mini not included. ​ New paint, interior and glass new in 2015. All in like new condition. Paint is White with black and taupe stripes. Very attractive. Not a flaw on the paint. Interior is all new including seats, side panels, headliner, and carpet. All seats (except fifth seat) have headrests. All like new. Glass is all new in 2015, and still looks new. Tinted side windows are very desirable. ​- November, 2000: Installed factory reman IO-550 engine with Beryl D'Shannon high efficiency baggle kit. - Annual, May 2017: Compressions 66-65-62-62-62-68. - 500 hr magneto inspection done 90 hours ago. Next one due in 410 hours. - Fuel system overhauled 210 hours ago. - Plane was not flown in winter months. Owner had the engine pickled according to Continental Engines Service Letter for engine storage. - New vacuum pump 5/2017. 30 hrs ago. - Paint, interior, windows, etc. done in 2015. - 500 hr wing spar web inspection completed 300 hrs ago. Next due at 3970 hrs TT. - New gear motor 10/2011. 320 hours ago. - New alternator 400 hours ago. - Flap motor overhauled 600 hours ago. - Wing bolts replaced 1500 hours ago. - Right fuel tank replaced 5/1981. Both tanks feel supple under the fuel cap. This is one of the nicest V tails I have ever seen. Everything works perfectly with the exception of the standby, air driven attitude indicator. It is slow to erect. I have not done anything about this at the moment as when I fly IFR, I have the attitude set in on the Ipad mini in case there is a multiple failure of the G 500 and the standby attitude. The only thing the vacuum system services, is this one attitude indicator. One should consider taking out the entire vacuum system, and replacing the standby unit with an electric unit. 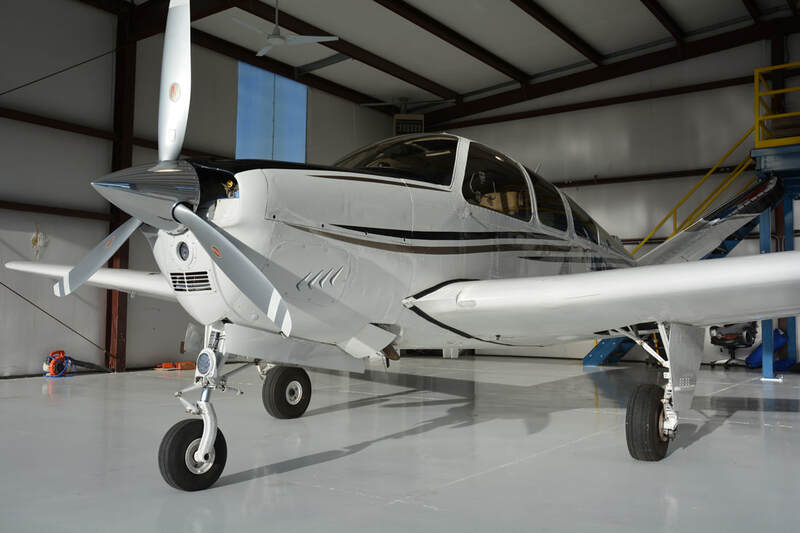 These cost anywhere from $2,000-2,400; or replacing the installed attitude indicator if and when it fails for about $500. Performance comes with efficiency. 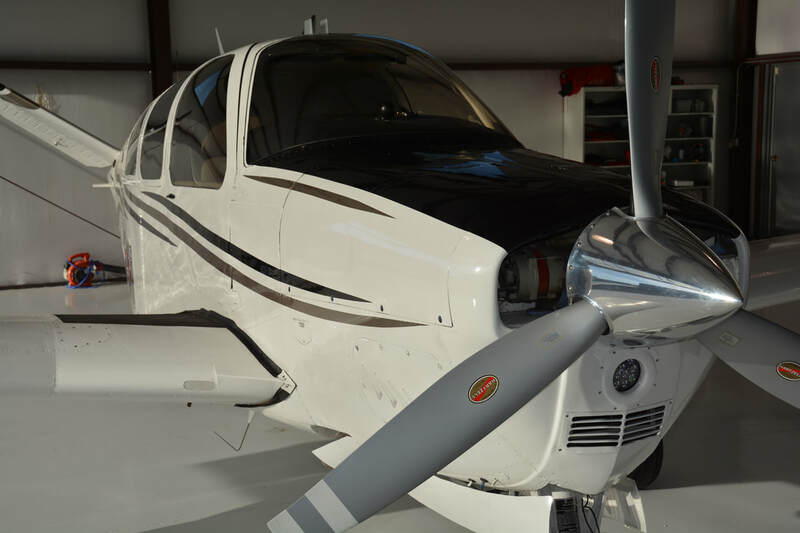 The IO-550 engine provides TAS of 180+ kts in the lower altitudes. At 13,500' msl, it will do 170 kts TAS on 10.8 gph. Climb rate at this altitude will be around 600-800 fpm depending on weight and density altitude.